Ledgeview Lanes is an entertainment and recreation retail establishment in our 36th year of business. We offer the whole family a place to enjoy themselves. We have 36 lanes for bowling with bumpers for the little ones. Bowlers will also find a first class pro-shop for all your bowling needs. We offer a spacious lounge featuring Fondy’s best Friday Fish Fry and other great food, beverages and snacks. Pool tables and video games of all kinds for your entertainment. Every Sunday Starting at NOON, your family can be a part of the "Family Bowling Club"
lanes on any Sunday of the month. As a member of "The Family Bowling Club", your family will receive discounted bowling rates and family meal deals. What a great way to end your weekend with your family!! Parkway Lanes is a 16 lane establishment. Located near Fond du Lac's Lakeside Park, it's a for sure fun stop. 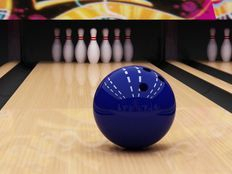 Guests can enjoy all the action, from the bowling, kids bumper bowling, video games, and mouth watering grill and bar. You are guarenteed a great experience!! 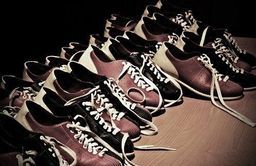 Youth Bowling Leagues for All Ages! Looking for an organized, well-structured youth activity? Ledgeview's youth bowling is just for you! Every Saturday morning at 9am the youth take over the lanes. Beginner, intermediate or advanced. Bumper or regular. We have several certified and volunteer coaches. Give Ledgeview Lanes a call at 920-923-1233 today!